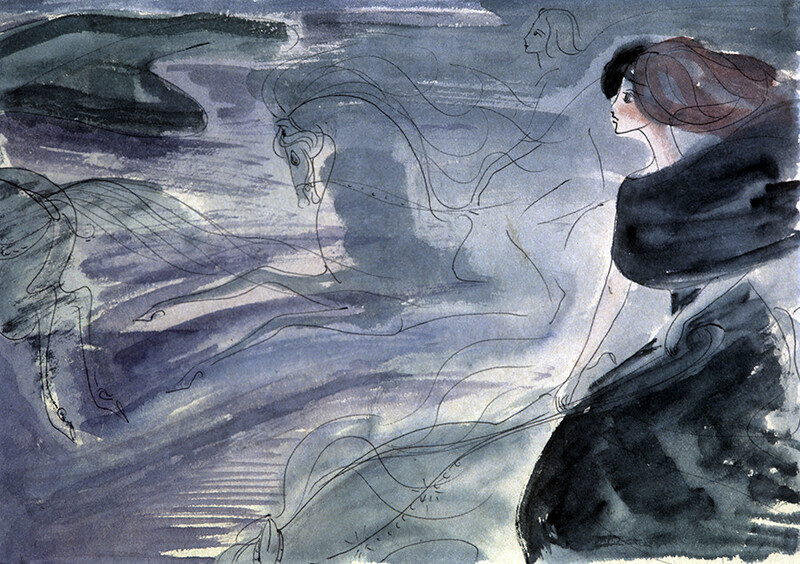 Her art works were exhibited all over the world, and she left over 10,000 paintings, drawings and illustrations to classic literature. But her fate was even more dramatic. Nadya Rusheva'a father was a theatrical artist, and he probably never imagined that he would one day spend his life savings to promote his daughter's artistic legacy instead of his own. As a young man, Nikolay Rushev was invited to be an artist in the Siberian Tuva Musical Theater. There, he met his future wife, Tuva's first ever ballerina, Natalia Ajikmaa. 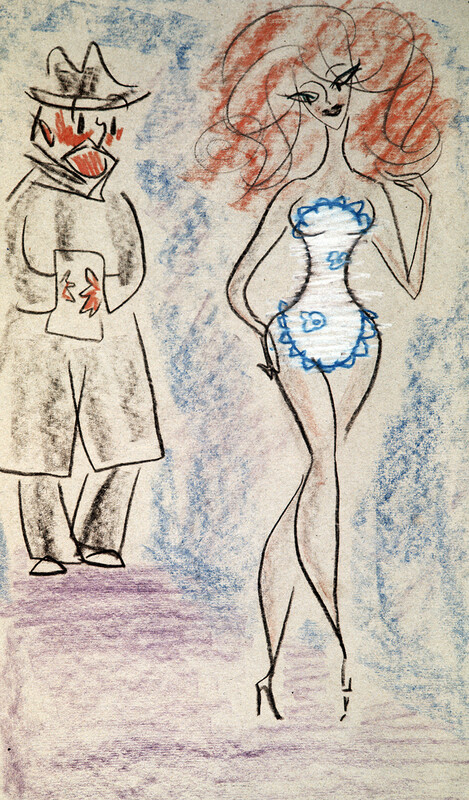 In 1950, they moved to the Mongolian city of Ulan-Bator, and Nikolay kept on working as a theatrical artist while Natalia start teaching ballet. In 1952, she gave birth to Nadya, and almost at once they moved to Moscow. For a long time the couple didn’t teach Nadya reading or writing because they didn't want to rush the child, instead letting her develop on her own. 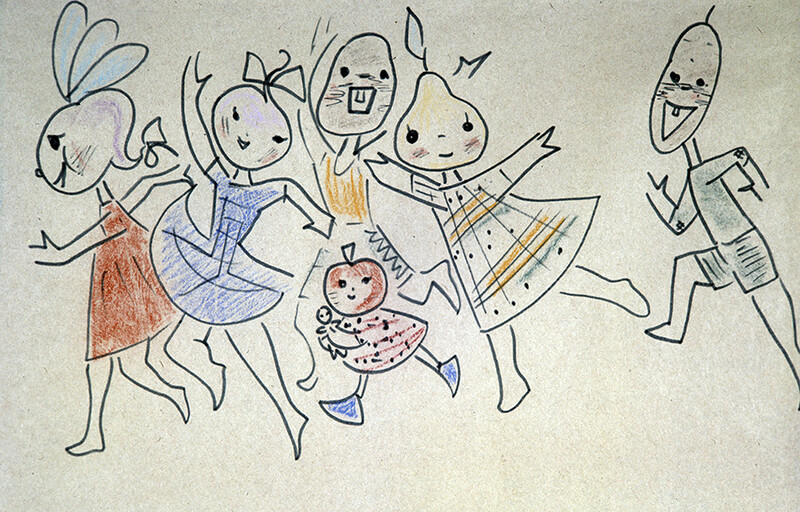 At the age of 5 she started drawing on her own. 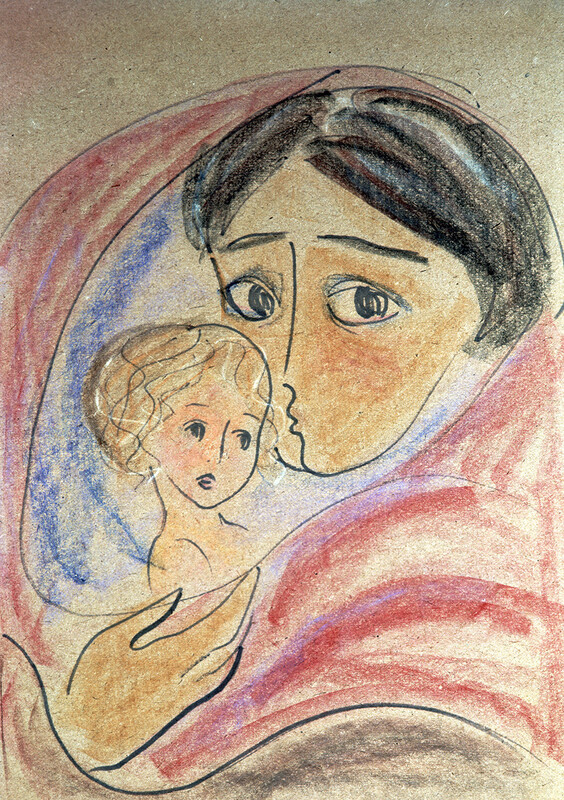 "Gella and Domuprav" by Nadya Rusheva, 1968. Illustration of Mikhail Bulgakov's "Master and Margarita"
The couple read her many books, and Nikolay even remembered that while he was narrating Pushkin's tale, “Tsar Saltan,” she managed to draw 35 illustrations for it, and there was nothing childish about them. 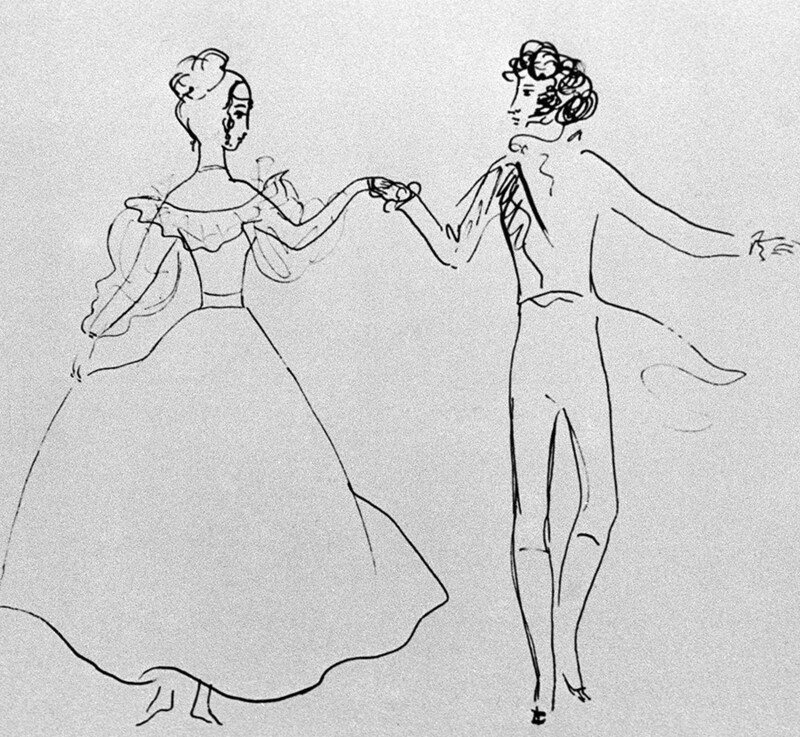 Nadya Rusheva's drawing "The First Dancing Party"
In 1964, one of the leading Soviet magazines, Yunost ("Youth"), published Nadya's paintings and arranged exhibitions, not only in Moscow and Leningrad, but also in Poland, Czechoslovakia, Romania and India. 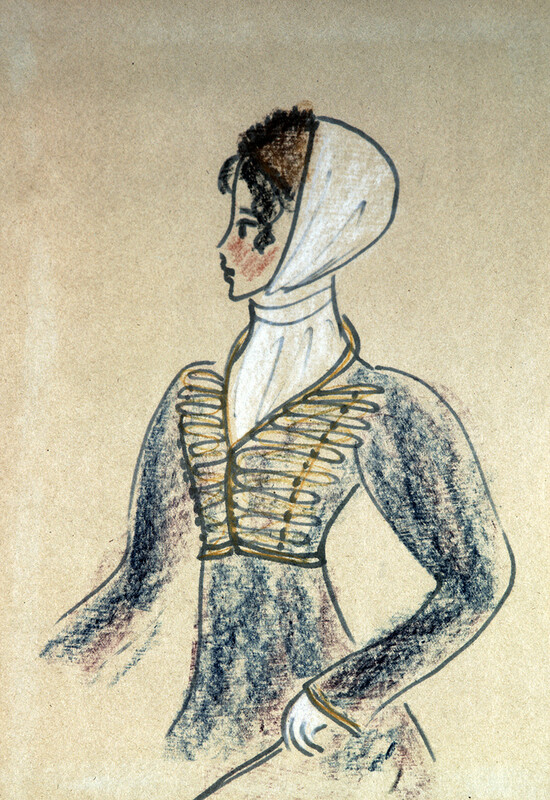 Nadya was very keen on literature, and made illustrations for Eugene Onegin, War and Peace, Master and Margarita, and other novels and poems. In his memoir, her father remembers that she read Tolstoy's novel when she was 13, and all her sympathies were for Natasha and Petya Rostov and their family. "Three years on, 400 drawings and sketches are lying in the files," he wrote. By the way after watching the Italian-American screening of the novel, Nadya was under the spell of Audrey Hepburn, Henry Fonda and Mel Ferrer. 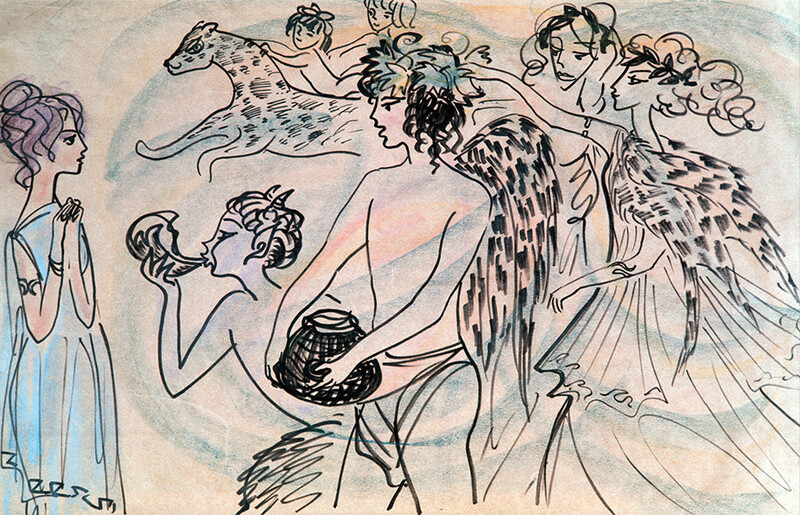 Mikhail Bulgakov's wife, Yelena, saw Nadya's illustrations to Master and Margarita and was absolutely charmed by them. 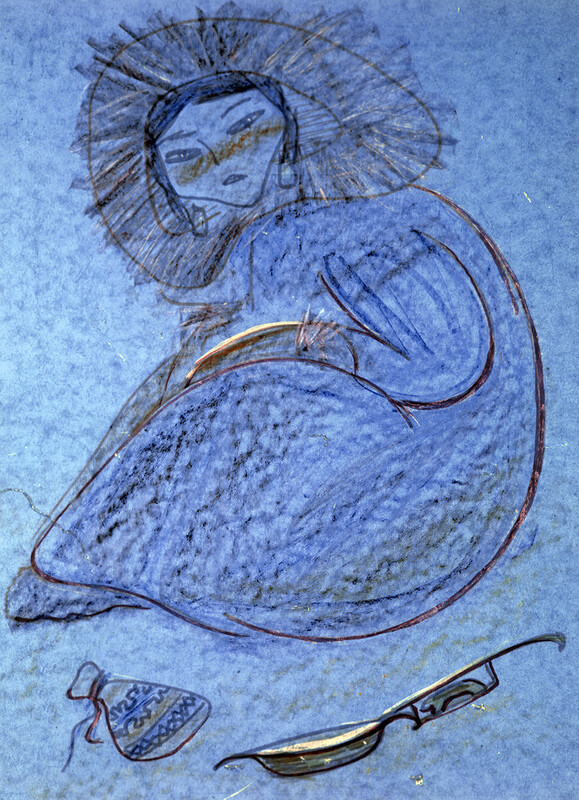 Nikolay even wrote that Nadya drew Margarita very similar in appearance to Yelena, who was the prototype of Margarita, without having seen her. 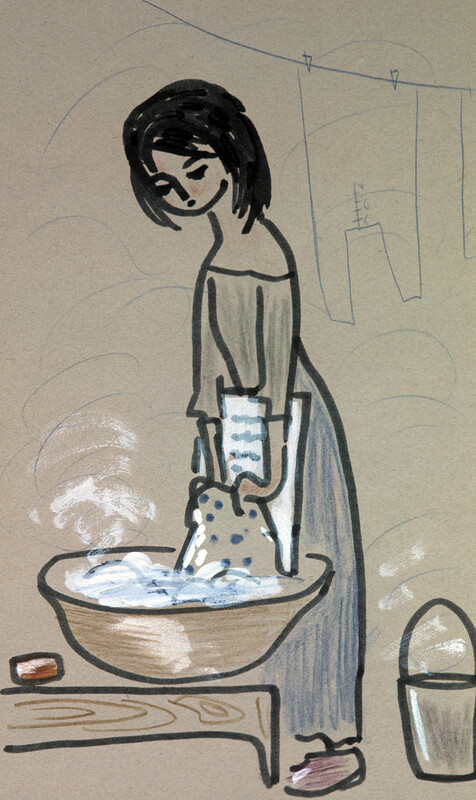 Nadya planned to make illustrations for works by Mikhail Lermontov, Alexander Blok, William Shakespeare and more. 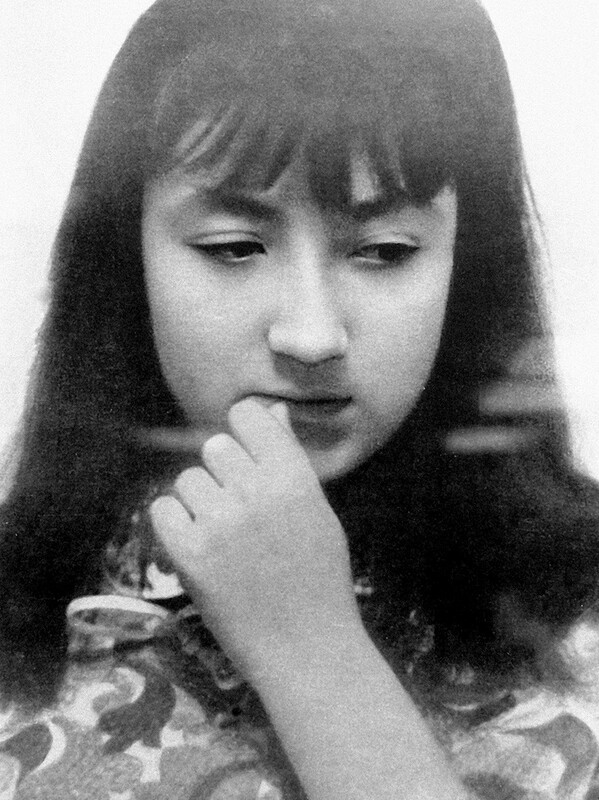 But on March 6, 1969, while going to school, Nadya lost consciousness and quickly died of a brain hemorrhage. She was a humble and quiet schoolgirl, with great talent and inner power. On Jan. 31, Nadya would have turned 66. Her father has preserved the legacy of her talent, and since her death he has organized her exhibitions all over the world, published a book of her paintings and a memoir devoted to her. Read more: Who is Zhenya Machneva, the only Russian artist invited to the 2018 Triennal in New York City?